Showing Sky box office live on Saturday night 31st March. Depending on fights before, the big fight will start around 10pm. Avoid missing out and get here early! Anthony Joshua against Joseph Parker, the Brit’s first big fight of 2018. Both will put their heavyweight world title belts on the line tomorrow night in front of a sell-out crowd ringside and many more watching across the world. 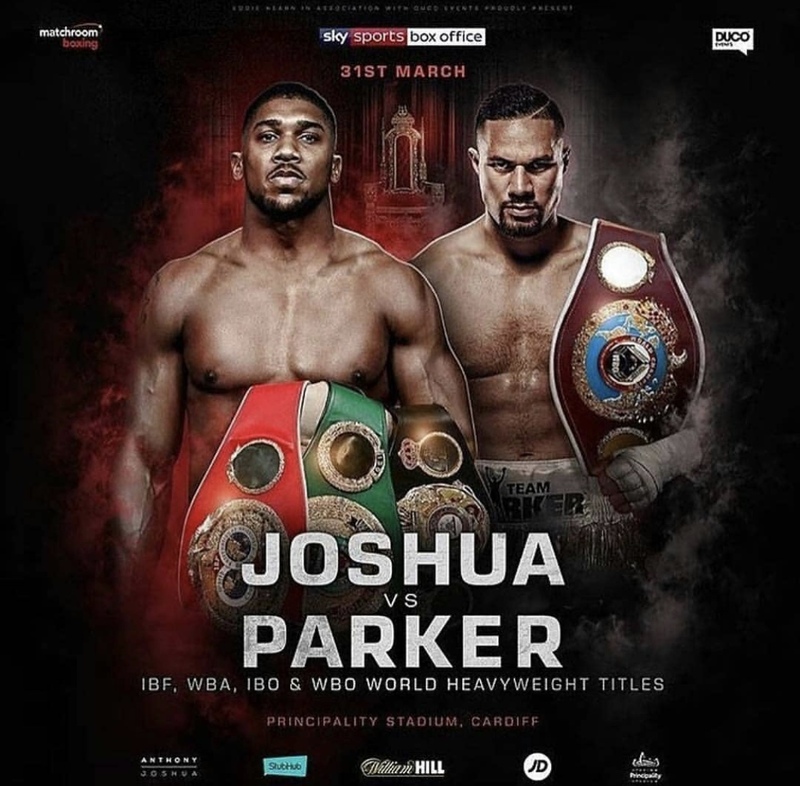 Parker, 26, is putting his WBO belt on the line while Joshua, 28, is defending his WBA and IBF titles in a winner-takes-all fight.